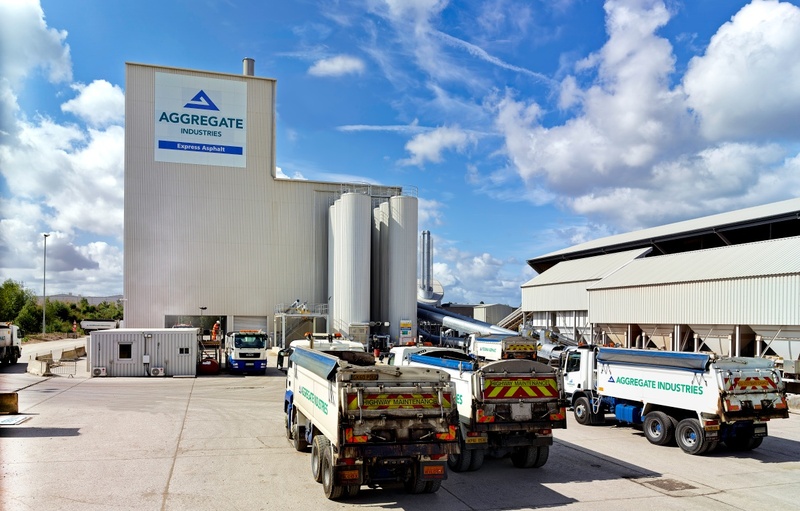 At Aggregate Industries we’ll continue our mission to cut our net CO2 emissions of all products. With a strong portfolio of sustainable products and services, we will help our customers avoid CO2 emissions released from buildings and infrastructure over the whole life-cycle. We are committed to tackling climate change. Our climate targets reflect that commitment and we have set ourselves two distinct targets as a step towards our 2030 goals. We are determined to reduce our emissions per tonne by improving the energy efficiency of our production facilities and through the increased use of by-products and waste-derived resources as raw materials and fuels. We continue to focus on providing our customers with lower carbon, resource efficient products and solutions. Delivering our products creates carbon emissions from the fuel used by vehicles. We’re committed to removing as much transport from roads as possible through the use of rail and water transport. Our aim is to maximise the distribution of aggregates by rail and water, but due to the nature of asphalt and ready-mixed concrete (RMX) road transport is the only real option. 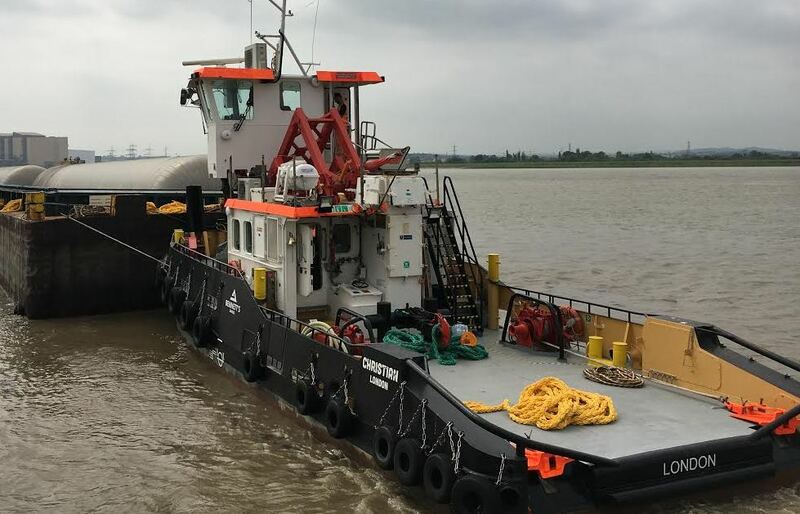 However in 2016 we transported over 10 million tonnes of aggregates by ship and a further 4 million by rail. Aggregate Industries is leading the way in helping clients to make sustainable design and purchasing decisions by providing carbon calculations and third party verified product-specific Environmental Product Declarations (EPDs). We recently partnered with BASF Construction Chemicals to create a suite of EPD based on Life Cycle Assessment (LCA) calculations using the BASF tool to simultaneously analyse two different concrete mix designs to give our clients immediate comparisons of global warming potential (CO2) and 23 other sustainable parameters. We also use a Product Carbon Footprinting tool (PCF), developed by the Carbon Trust, to analyse mix design, transportation of raw materials and delivery to site to calculate the CO2 emissions of a concrete mix. As these calculations are based on each mix design, the calculations are bespoke per project and are not based on generic information. By using this calculation facility prior to a project starting, customers can be confident they are ordering a concrete mix that has the lowest possible embodied CO2e. We have chosen to limit the scope of our EPD to the assessment of the production stage only (cradle-to-gate) and they are based on single production units. We believe that this gives our customers a true picture of the environmental impacts of a product on the elements we control. In addition, we are able to produce EPD for the full life cycle of a structure or building, which is based on information supplied by the client rather than generic data. EPDs and carbon calculations can be accessed here. We continue to purchase 99% of our electricity from renewable sources. We optimise the use of energy and promote energy efficiency, and, where practicable, the use of renewable energy sources and energy recovery, as well as generating our own electricity from renewable sources. We have teamed up with energy specialists Open Energi to identify our activities that fit the dynamic frequency response management profile. In other words, activities where we can safely automate the switching on or off of power – without affecting quality – in order to help balance the national electricity grid. We aim to reduce the use of non-renewable resources and, where it is safe as well as technically and economically relevant, replace them with substitute raw materials, alternative fuels and biomass. Our cement plants are utilising an increasing amount of waste-derived fuels and sustainable biomass to provide up to 48% of the plant’s energy demand – making our plants net importers of waste and helping to avoid waste going to landfill. In 2016 we used 80,000 tonnes of alternative fuels.